This entry was posted on January 10, 2013 at 11:35 pm and is filed under Audios, Writing. You can follow any responses to this entry through the RSS 2.0 feed. You can leave a response, or trackback from your own site. You can reach Norman at nzierold@mum.edu. He’d be happy to get a signed copy to you. He’s selling them out of his office at a special discount. 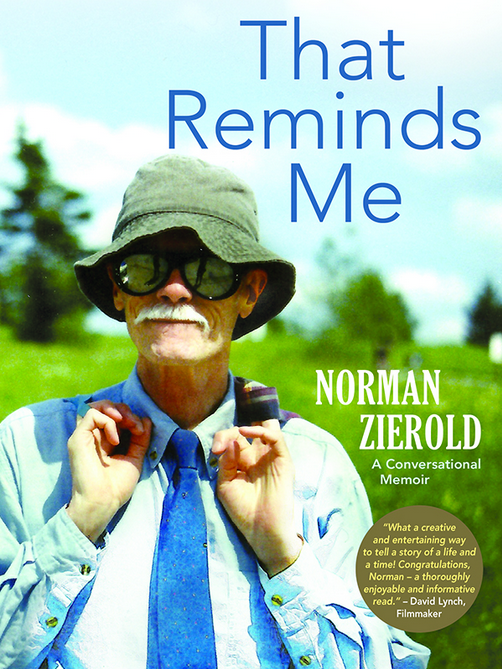 Norman Zierold is one of the most interesting and enjoyable men I have ever known. It is always a joy to “corner” Norman and have him recount some of his Hollywood stories. Now how many people do you know who can tell you about having attended a live Judy Garland concert? This is just a “hint” of what I am sure is contained in this wonderful new book by Norman. I, for one, will be sure to pick up a copy of “That Reminds me….” Thanks Norman! Christopher, the book will exceed your expectations! Please post a comment on Norman’s blog and on Amazon after you’ve read it. Enjoy the ride, as Norman says in his Foreword.